“My service kit arrived in Oz today, thanks very much. Just following up on the info below, ‘Shellite’ works very well in the lamps. I suspect it’s very close to the original colzalene fuel. The Protector Lamp & Lighting Company is best known as a producer of miners’ safety lamps.The safety lamp is essentially a highly sophisticated form of oil or spirit lamp of extremely robust construction. 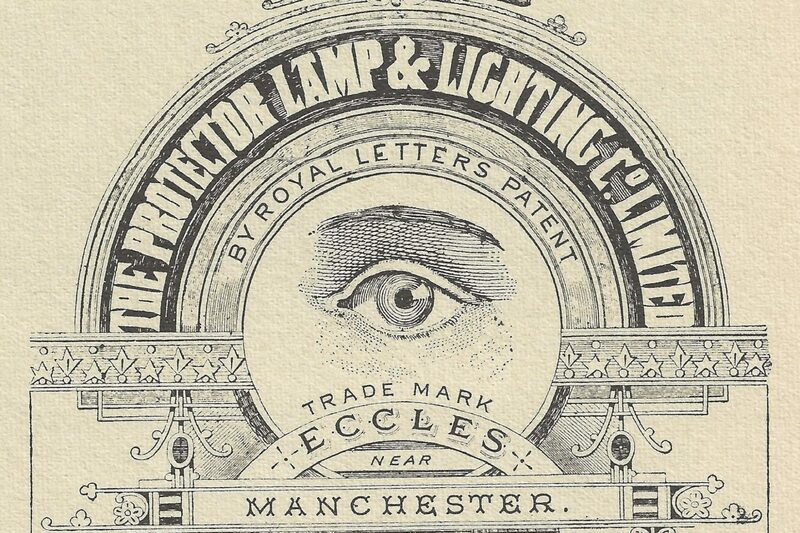 The Company was formed in May 1873 to acquire the business and patent rights of William Edward Teale, oil and lamp manufacturer, of 11 Mark Lane, Manchester. The Company’s Memorandum of Association mentions two patents which had been obtained by Mr Teale: one dated 15th November 1869 for ‘Improvements in Mining Lamps’ and the other dated 4th December 1872 for ‘Improvements in Guards for Gas Lights, and in an improved method of Lighting while under the protection of Guards’. The first reference to Prestwich’s improved miners’ safety lamps appears in the minutes of the board meeting held on 10th November 1890: ‘With regard to Mr Prestwich’s improvement, it was decided that it would be taken out in the joint name of the Company and Prestwich.’ Development of the new safety lamp proceeded rapidly and was patented in 1891. Letters patent for a further improvement were taken out in 1892. By this time Prestwich had a seat on the board and had been appointed managing director.1892 was an important year for the Protector as well as for Eccles, for, in that year, the Company moved from Valley Mill to the present Lansdowne Road site. The new works were rapidly expanded and included brass and iron foundries as well as extensive storage tanks for lamp spirit. In effect, the Protector was set for a great leap forward. For 30 years until his death in 1919, Joseph Prestwich remained the dominant character. It is a sound testimony to Mr Prestwich’s skill that the design of safety lamps produced by the Company has remained virtually unchanged from 1890’s to the present day. By about 1910 the company could claim that 200,000 Prestwich Patent Lamps were in daily use and in 1914 an article in The Business World reported that over a million such lamps had been supplied to colliers, both at home and overseas. In the years following the first world war flame safety lamps were steadily supplanted for illumination purposes by battery powered electric lamps which were either fitted to the miner’s helmet or carried by hand. Also, the main passages underground came to be lit by electric power. These developments naturally affected the Protector’s production of safety lamps. The flame safety lamp has continued to remain an essential item of the miner’s equipment, though their principal use nowadays is for testing for presence of methane in underground workings. A brief survey of the development and manufacture of miners safety lamps, by Frank Johnson. More information on the Davy Lamp.